SA was commissioned by The Ratkovich Company to create a pre-construction program that would get the community excited about the transformation of the much-maligned Macy’s building in DTLA into an open-air agora with new retail, restaurants, and community-facing spaces. SA created a programming plan that included creating mirrored blocks designed by LOC Architects to manufacture a sense of place, and a physical hint at what was to come with the transformation of THE BLOC. 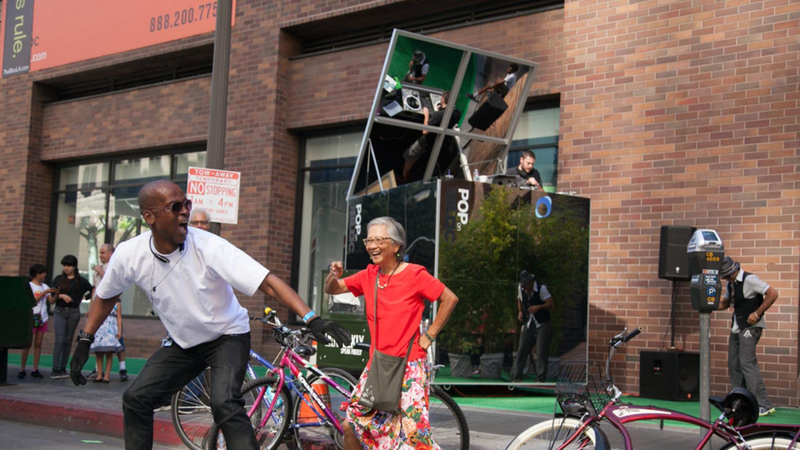 Pop on THE BLOC was a community program that kicked off with an event on-site during CicLAvia. The BLOCs were subsequently taken on tour to other properties owned by The Ratkovich Company to build awareness for the newest project, and the first major retail project in the client’s portfolio.